WASHINGTON, DC – Congressman Sanford D. Bishop, Jr. (GA-02), a senior member of the U.S. House Appropriations Subcommittee on Military Construction and Veterans Affairs (MILCON/VA), released the following statement regarding the Committee’s passage of the first of the twelve spending bills that the House will consider for FY 2018 appropriations. Congressman Bishop voted in favor of the legislation. “The Appropriations Committee came together in a bipartisan fashion to meet the needs of our service members, veterans, and their families. As a longtime member of the Appropriations Subcommittee on Military Construction and Veterans Affairs, I am confident that the FY 2018 bill provides our military the resources it needs to defend our country and deliver quality services and access to care for our veterans. “This bill takes several steps to provide the Armed Forces with the facilities needed to support our service members and their families wherever they work, train, or live. 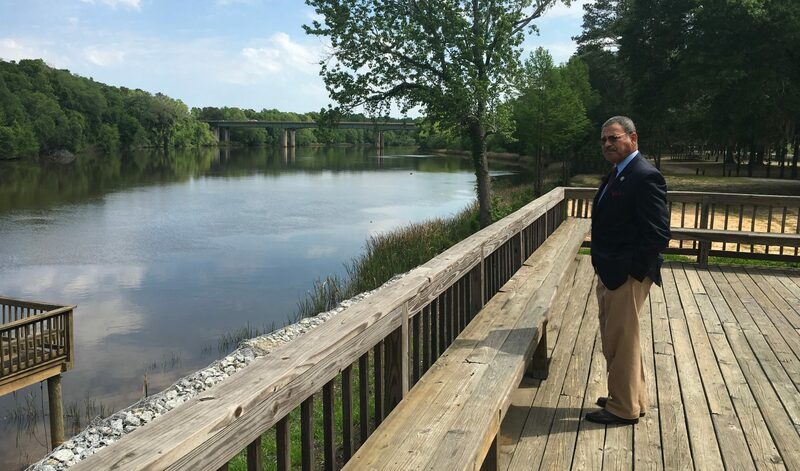 I am pleased that the bill provides a total of $202.9 million toward military construction needs in Georgia. This includes $10.8 million for a new Air Traffic Control Tower at Fort Benning to support mission readiness, which was the Army’s number one construction priority. The bill also includes $43.3 million in funding to repair damage to the Marine Corps Logistics Base in Albany, which was struck by severe storms and tornadoes last January. “The FY2018 MILCON/VA appropriations bill also takes several steps to ensure that all segments of the diverse veteran population have access to necessary VA programs and services. $10.223 billion, an increase of $2.077 billion above the FY 2017 enacted level and $197.58 million below the President’s request, is provided for Military Construction programs. The total funding for Reserve Components is $574.7 million, which is $98 million above the FY 2017 enacted level, and equal to the President’s budget request. The bill fully funds the 2018 budget request for Family Housing construction at $1.407 billion, which is $130 million more than the FY 2017 enacted level. The bill fully funds the 2018 budget request for the BRAC account at $291 million, $51 million above the FY 2017 enacted level. The bill recommends a 25 percent increase in military construction to support new construction efforts to improve readiness and preserve the quality of life for military personnel and their family members. The Committee recommendation includes a $78.329 billion in discretionary funding, which is $ 3.9 billion above the 2017 level, and $ 383.9 million below the President’s request. It also provides critical support for the VA’s newly identified needs, such as mental health and suicide prevention, opioid abuse prevention, homelessness, and long-term care. It provides measures to improve policies that affect minority veterans and academic partnerships with Historically Black Colleges and Universities (HBCU). The bill also builds in vigorous oversight on the Electronic Health Record (EHR) by withholding 75% of EHR funds until VA provides the Congress with its plan to procure and implement DoD’s EHR system to ensure interoperability.